The comfortable crew neck allows you to represent the flag colors of Arizona in style while in Nashville at the 2018 SHAPE America Convention in March. Click on the link below to receive a 50% discount for the first 30 shirts. 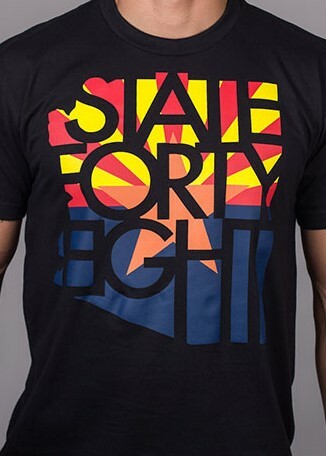 Even if you cannot make it to Nashville, its a great way to represent the State of Arizona. Click on the link below to place your order. Discount code (azhealth).